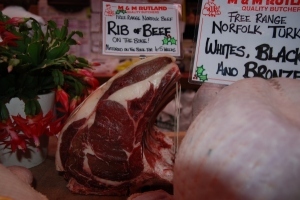 M & M Rutland Specialist Butchers are a traditional, well respected family run Butchers situated in Melton Constable, North Norfolk and are dedicated to provide and serve quality local products, properly produced for you. 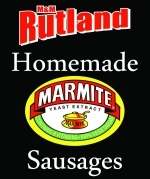 Established in 1972, a real Family Business. 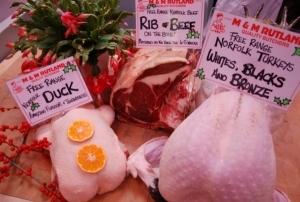 We supply 'Free Range' Norfolk Black Turkey, Norfolk Bronze Turkey and Norfolk White Turkeys, Amazing Free Range Geese, Ducks and Chickens. 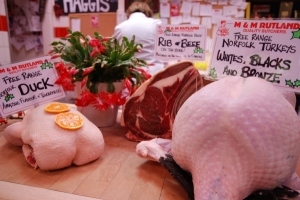 Norfolk's finest Free-Range Geese, Norfolk Black, White and Bronze Turkeys (Hand Plucked). Free-range Chickens and Ducks. Local oak smoked Gammon and Home cooked Hams. 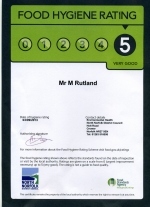 Our famous Homemade sausages, 40 different varieties, also Chipolatas, Cocktails and Sausagemeat, all Low fat, Low Salt. All made with free-range Norfolk meats, many Gluten Free. Our superb Special homemade "Christmas Flavour" sausages, makes a lovely stuffing. 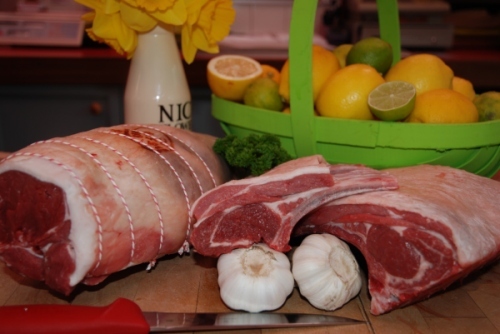 Try our Mini Hog Roast or our Butterfly cut Leg of Lamb, Special for Christmas Eve or that Winter Dinner Party. a delicious "Taste of the Wild"
Our famous Homemade "Norfolk Haggis", for Hogmanay and Burns Night (January 25th), available all year round, perfect for a Starter or Main meal with "neeps and tatties".